The Oppo Find X, announced Tuesday at an event in Paris, has a screen that stretches from the very top of the phone, wraps around the sides and goes almost to the very bottom leaving a thin chin. 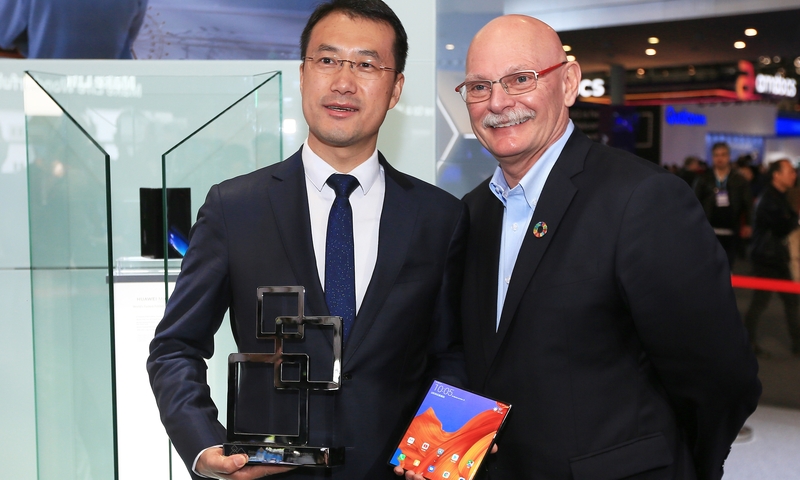 Just a week after the launch of Vivo NEX with a 91.24% screen-to-body ratio. 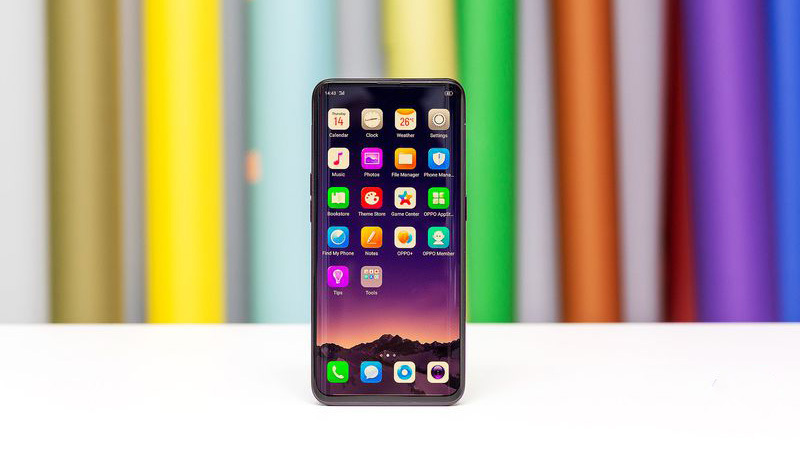 The Oppo Find X takes the ‘closest to an all-screen smartphone’ title away from it. 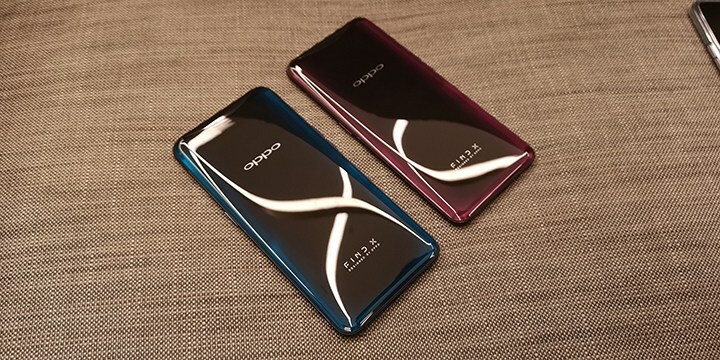 The Chinese phone maker Oppo has unveiled their new flagship “Oppo Find X” with a 6.4-inch AMOLED display that spans almost its entire front surface. The screen-to-body ratio is 93.8%, so when you’re looking at the front of the phone, you’re almost always looking at the display. The Full HD+ display of the phone has 19.5:9 aspect ratio with a pixel density of 401PPI. The phone, despite being bezel-less has a thin chin but looks absolutely stunning. 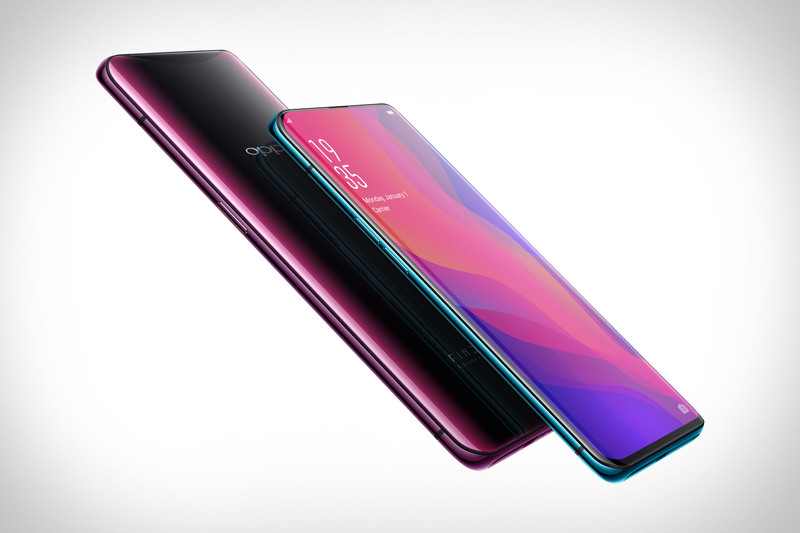 The Oppo Find X comes with a great deal of power under the hood, with the flagship Snapdragon 845 chipset sitting alongside 8GB of RAM. For graphical performance, the phone has got an Adreno 630 GPU. Onboard storage is at 256 GB with no option to expand the memory. 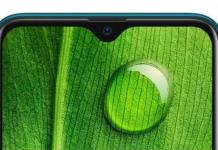 Rather than follow the standard notch answer to edge-to-edge displays, Oppo has gone with a mechanical slide-out camera behind the display. This leaves the screen free of any cutouts for the selfie camera and facial-recognition sensors. Like the NEX, the Oppo Find X also adopts a pop-up camera feature, but it takes things to a new level with all three cameras rising out of the top of the handset, rather than just the selfie snapper. Whenever you want to use any of the cameras, the mechanism slides up in about half a second. And then slides down again when you’re done. It’s actually quite a pleasing motion that’s both smooth and relatively quick. 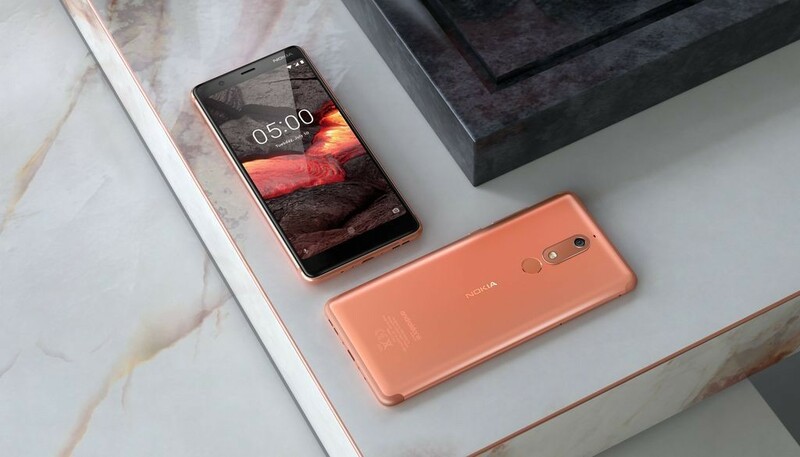 It is also impressive from the security point of view as the camera will pop-up whenever you launch the app or a function requires camera access. It seems that having more moving parts in a phone could mean the high chance of breakdown. 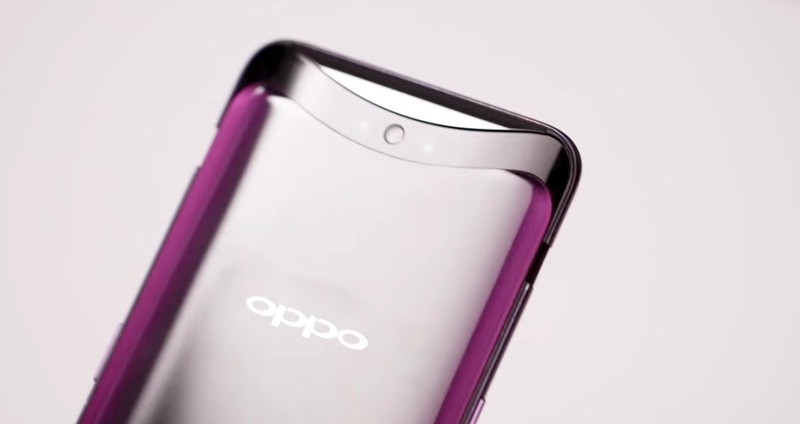 Oppo claims that it has tested this mechanism and it should live through up to 300,000 actuations. Even if it does last, it’s surely going to be something of a dust magnet. And users will need to be careful not to get their phone wet because having this open/shut mechanism also means the phone isn’t sealed against water incursion. The phone features a whopping 25MP front-facing camera backed by AI for the premium selfie experience. 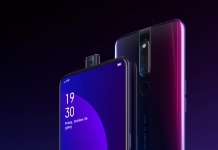 Oppo claims the Find X’s front-facing 3D camera is “AI-enhanced” to “naturally personalize” a selfie, and that its software offers 3D lighting to produce “artistic portraits.” The dual 16MP and 20MP rear cameras are both optically stabilized, and both have f/2.0 apertures. While the pop-up mechanism that reveals the rear cameras is certainly a spectacle, the actual sensors themselves should be very capable. And it’s not just about the hardware! Oppo says its camera software features AI Scene Recognition, a function that works like a “photography technique consultant” with the ability to analyze and identify 800 scene types. When you start shooting, the AI will recognize objects and scenes within the photo and then adapts its settings to enhance the picture. One key feature missing, and deliberately so, is a fingerprint sensor, and that’s because this phone promises to have facial recognition capabilities like Apple’s own FaceID. Oppo calls it O-Face, reducing the feature to little more than a tasteless joke. When the mechanism slides up, it’s not just revealing a front-facing camera. There’s a collection of various depth and IR sensors which, combined, can scan and create a complete 3D model of a user’s face. 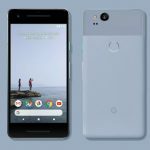 It can recognize and scan 15000 different data points that include depth as well as visual data, making it secure enough to authenticate payments and purchases as well as unlocking the phone. Oppo has introduced the all-new Omoji with the Find X. This feature is exactly what you think they’d be from the name. It’s essentially Animoji, in Oppo flavor! You can create your own custom 3D emoji character, or use a preset animal or character and animate them using facial expressions just like Apple and Samsung’s emoji creations. Oppo’s software this time around is based on Android 8.1 Oreo, and called ColorOS 5.1. 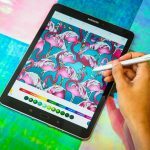 Color OS borrows a lot of ideas from iOS and Samsung’s spin on Android, which makes for an interesting combination. There’s no headphone jack anywhere to be seen, but interestingly there’s a SIM tray embedded alongside the USB type-C connector and speaker grille on the bottom edge. There’s a sizable 3730mAh battery sealed inside the Find X. The cell features Oppo’s VOOC fast charging technology that allows you to give your phone a quick blast before heading out the door, via the USB-C port. The Find X is a dual-SIM phone that’s also globally compatible. Other sensors include a Light sensor, Proximity sensor, Accelerometer, Compass, and Gyroscope. The Find X will be available in two colors; Bordeaux Red and Glacier Blue. The Find X will be available globally in August, with the 256GB option costing €999, which converts to about $1159. The pricing is more than that of Apple’s flagship. 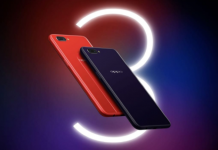 Once the initial Chinese launch kicks off at the end of this summer, Oppo will be selling the Find X in France, Italy, Spain and the Netherlands. Oppo is also launching a Lamborghini edition of the Find X phone for €1699 (about $1961) with an engraved logo and superior fast charging capability. Thank you guys for reading! For more news on the Oppo Find X, like our Facebook page and subscribe to our Youtube channel. If you have any questions or confusions, please feel free to ask them in the comments down below. We will answer them as soon as possible.